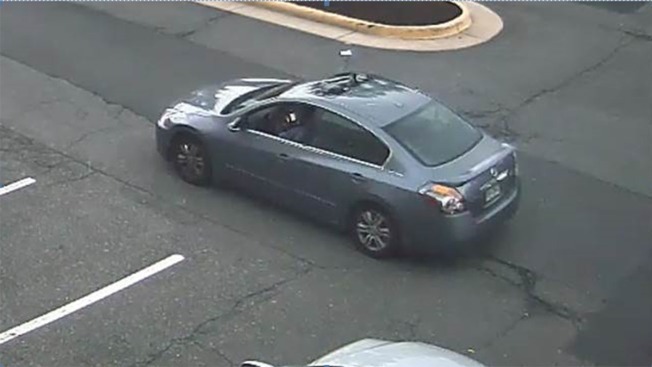 The Nissan Altima police say may have been used in the robbery. Officers arrested a Virginia man Monday who they say assaulted an 89-year-old woman during a strong-arm robbery near a shopping center earlier this month, according to Fairfax County Police. Antonio Williamson, 20, of Woodbridge, Virginia, is suspected of robbing and assaulting the elderly victim as she entered her car in the 6600 block of Loisdale Rd. in Springfield, Virginia, police said. The suspect approached the car about 10:15 a.m. June 3, injured the woman in an assault and then fled with her purse, police said. The woman's injuries did not require treatment at a hospital, police said. Williamson was arrested in Prince William County after police obtained a warrant for his arrest Friday.